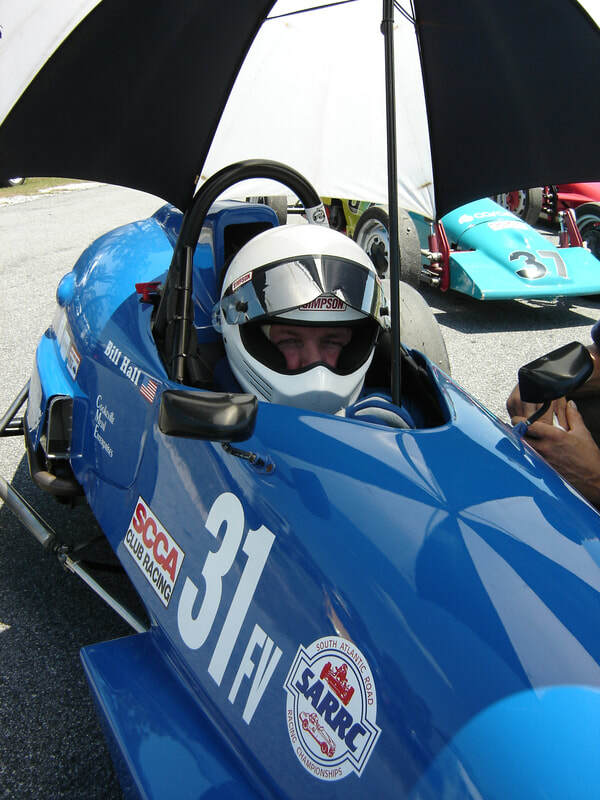 Bill has been involved with auto racing from the age of 16. He started out crewing on dirt track cars, drove karts during college, worked on the NASCAR Winston Cup tour for ten years, and drove SCCA formula cars for 15 years. Racing has been a big part of Bill's life for a very long time. The car was sold a few years ago and while no longer active, he likes to visit racing related venues when traveling. Our travels have included racing museums in numerous cities in Europe, the Porsche museum at the factory in Stuttgart, Germany, and he walked the circuit at Monaco last year. Racing never really leaves you. It's always in your blood. Bill raced and has wins at many major tracks. Tracks include Road Atlanta, Sebring, Charlotte Motor Speedway, Virginia International Speedway, Roebling Road, Carolina Motorsports Park, and Barber Motorsports Park. He garnered more than his share of wins through the years. Through the years of racing, many friends were made. To this day, they are still very close friends, although we no longer share the track together. We all try to keep up with each other and stay aware of each other's lives. We visit as often as possible, even though we live very far apart.